URGENT: There are now just days to go until MPs will vote on David Cameron’s plan to force fracking on us. Please sign the petition today! But the plans can’t go through without MPs votes, so if we can get them to see how unpopular Cameron’s idea is, they’ll think twice before voting it through when the time comes. Sign now and leave a comment for your MP. We’ve also teamed up with Friends of the Earth to launch this petition and increase our strength. 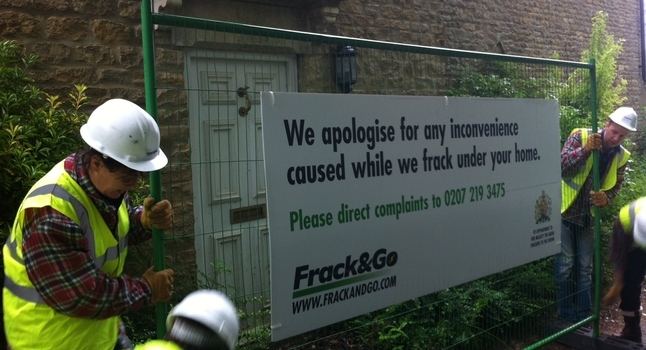 74% of the public in Britain are against changes to trespass laws that would allow fracking companies to drill under homes without permission. I urge you to oppose government plans to change the law and vote against them when you have the chance. Please sign this petition to send a clear and strong message to David Cameron that we do not want fracking under out homes with or without our permission.